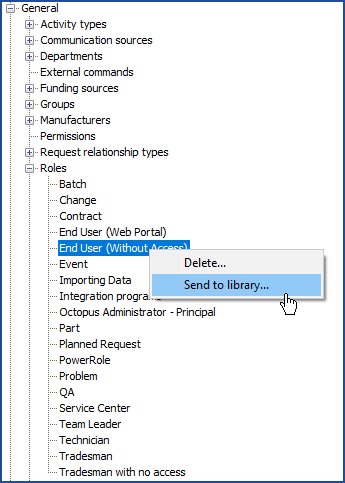 In the past, the access level of an Octopus user was determined by the selection of permissions from a list of all the permissions available. The modification of the permissions had to be done manually for each Octopus user. From version 3.8 and beyond, we are introducing the notion of roles that will facilitate and improve the access management of Octopus and ensure the security level. Each role contains its own permissions and the Octopus users have one or more roles that automatically inherit the sum of the permissions from each role. The license type determines the permissions that will be available at the creation of a role. It is possible to define more then one role with a same license. Each role can have different permissions. A user can only have one license type, but he can be associated to multiple roles. 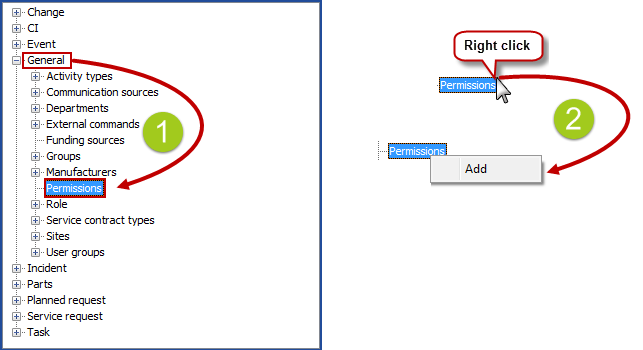 The permissions of a user are cumulative or add up with the addition of roles. 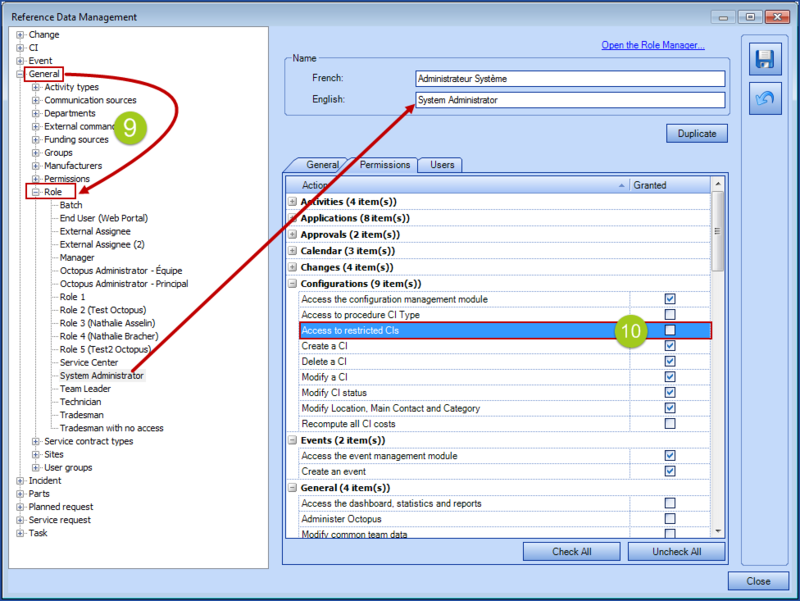 Here is an example: all the technicians have the Technician role, that has predefined permissions. Jack is a technician, but he must also have access to the Statistics module to produce operational reports. This permission is not part of the ones in the Technician role, but it exist in another role: Report. By giving Jack the Report role, he inherits the permissions from both roles. The Role Management is done from Tools > Reference data management > General > Role. There are 2 ways to add a role: right click the Role node and select Add or Add from the library. The add option opens the following window, where you find 3 tabs: General, Permissions and Users. This tab is mainly use to attribute a license to the role. NOTE: The selected license type affects the permissions that will be available. 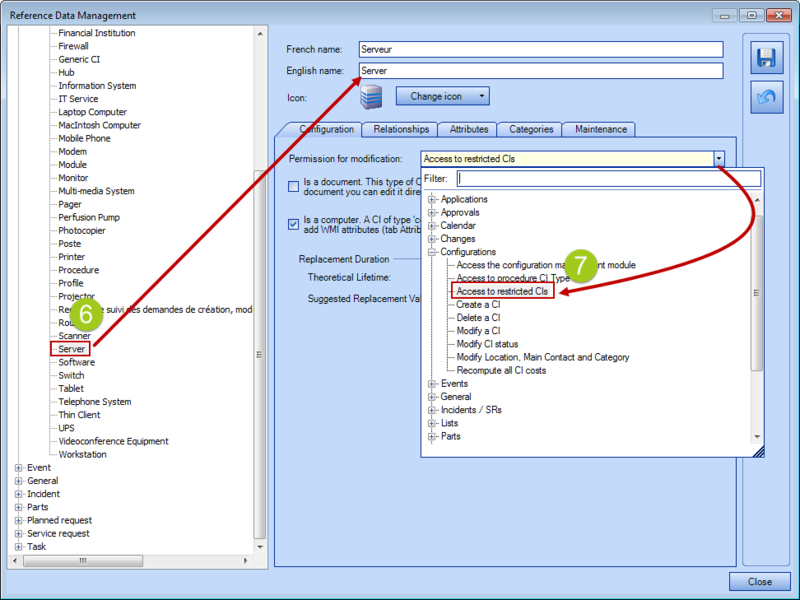 This tab shows the permissions that can be granted according to the type of license selected in the General tab. The Check All and Uncheck All buttons add convenience to the selection of permissions. The User tab shows the list of the user who have this role. Later it is possible to add modifications to the role if you want it. How to add a role to the library and why do it? 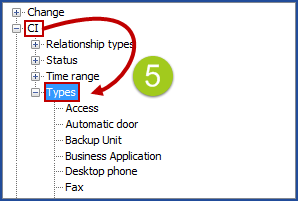 This option is only useful in a context where Octopus is used by multiple teams and there is a need. But since more and more environments have more than 3 teams, often managed by IT, it is good to be able to reuse a role without having to recreate it in each team. For example, Octopus users may need the same access in multiple teams. You can create a role from a team, give it a meaningful name and send it to the library. It will then be available at all times for all existing and future teams. Many companies using the Web Portal that have generic accounts in Octopus will want to either give minimal permissions to these accounts or no access at all to the Web Portal. Creating a role for generic accounts allows you to manage permissions for these accounts in each team. Once available in the library, this role can be used like any other. The link to access the Role Management is available from within a role. 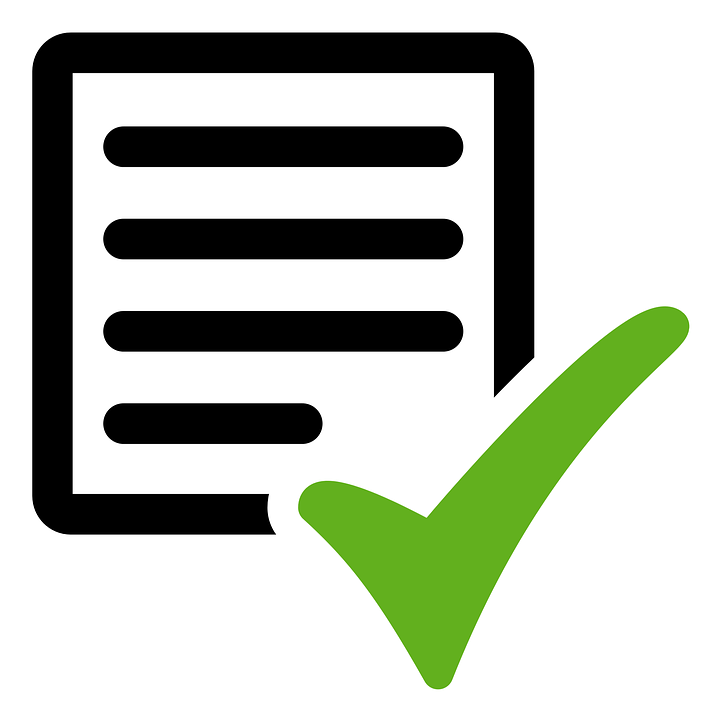 Export the list of the roles and permissions to Excel; allows to send all the roles present to Excel to facilitate reading of roles with respect to their permissions. It can also be used to keep a history of the changes applied to the different roles. 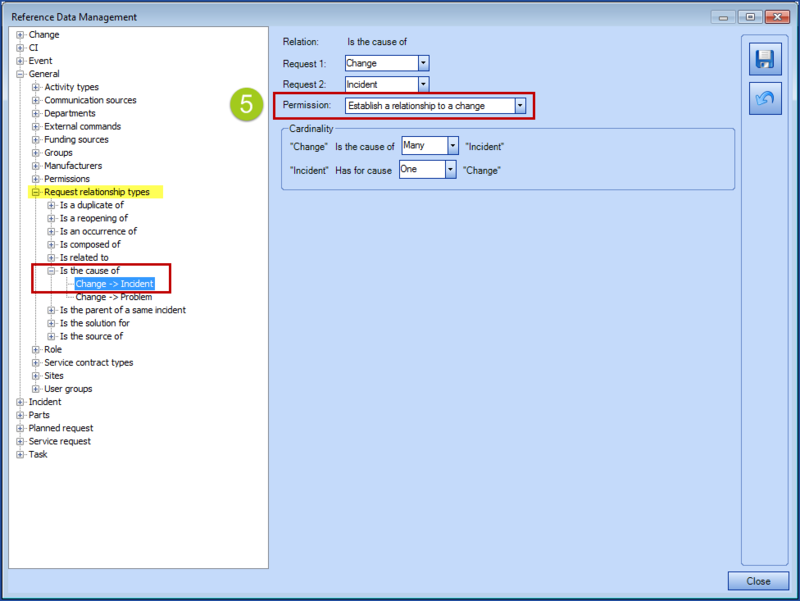 From within the user module you can modify the roles for one of more Octopus user at a time. To see the complete list of an Octopus user's permissions, click the See permissions link from within the user's file. If you need to add a new role to many users at once, you can do it form the User module. Note: you must select users with the same type of license, otherwise the number of permissions will be diminished. Select the users from a list. The Shift and Ctrl keys can be used. To allow the modification of certain types of CI, while protecting the data of other types, it is possible to make specific CI types read-only. This is done through custom permissions set in relation to the types of CI to restrict. 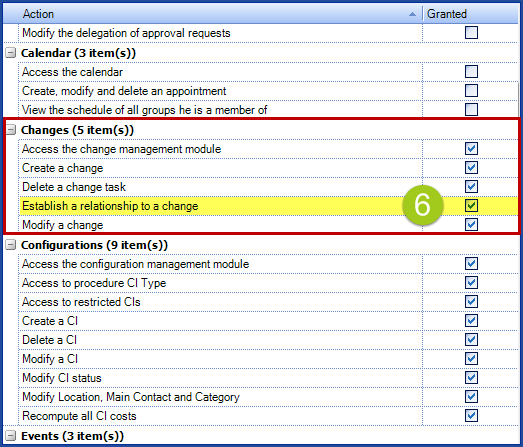 It is possible de create relationships between different request types in Octopus; by default, request relationship establisment is not restricted. You may want to allow specific Octopus user to make a relationship between one or many incidents and a change, by example. This is done with a custom permission associated to the relationship type to be restricted.